Excitement with a bit of nervousness is in the air in Lodi. Harvest season is here! 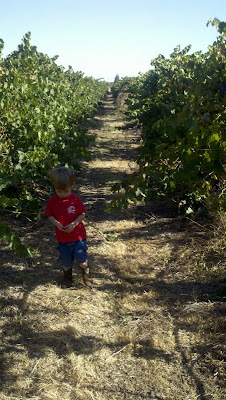 The fields are full of workers and machinery and tons upon tons of grapes are being picked off their vines. 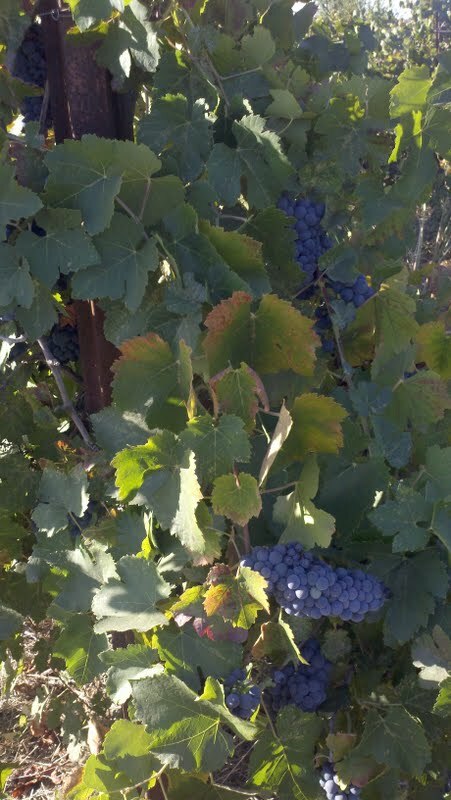 The grapes are almost to their maximum level of sweetness and it will be only a couple more weeks until our grapes will be harvested. Since we are new to this wine country thing, I thought it would be a neat experience to take my family to watch how the professionals create wine. We took a tour at a local place called Estate Crush. This is a company that specializes in creating boutique wines for small vineyards. 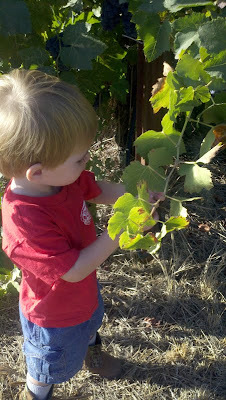 We had a blast and I thought we could share a little bit on how they create wine. The grapes come in on trucks and they get crushed in a crusher. 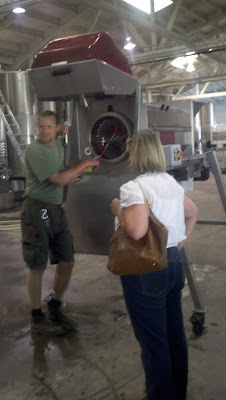 Matt, our tourguide/wine maker, showing us that you can customize how hard you want to crush the grapes. After the grapes get crushed they get dumped into square bins for fermentation. As the grapes ferment in the bins they give off heat. 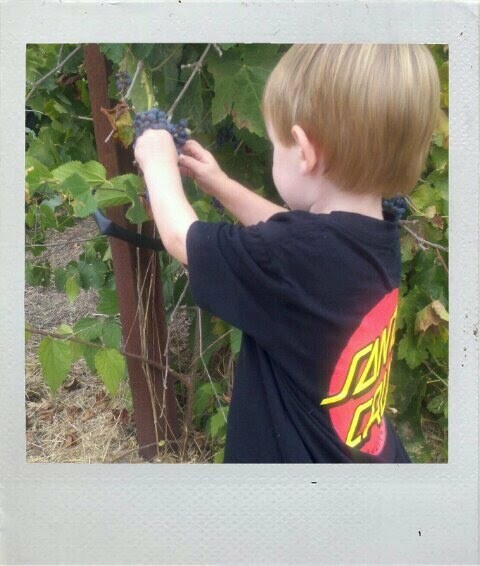 I put my hand near the surface of the grapes and it was very warm. It was so interesting to see that through this natural process the grapes turn into a heat source. The bins of grapes are poured into these vats where it goes from grape juice into wine. This is also where the wine maker can customize a wine and make it either more dry or sweet according to their taste. The wine is stored in wine barrels for 10 months or longer and the storage room is kept at an even 65 degrees. The room is kept at such a low tempurture to keep the wine from evaporating. During these 10 months the winemaker tops off the wine barrels every few weeks to make sure there is enough wine. Also, the winemaker adds oak sticks and balls to give the wine an oaky flavor. Matt told us that you add a little oak at a time because it's like cooking with salt; if you add too much salt, it's hard to make it less salty. Matt also gave away a little known secret. When a wine is not sweet enough, they add sugar to the wine, just like you would add sugar to a food dish like spagetti sauce to enhance the flavor. 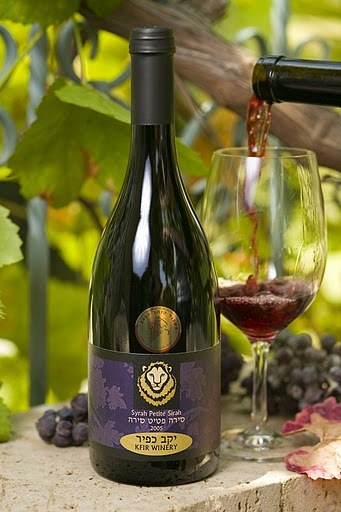 All to make that perfect bottle of wine you always dreamed of! Our family isn't planning to go into the winemaking business this year, but with our new knowledge and a great local business to help, we may try it out with a couple tons of grapes next season. Exciting! In the meantime, we will keep preparing for this year's harvest. We have the perfect worker monitoring the sugar content of the grapes and the states of our vines. Thanks LJ!